W e’re excited to add a new event to the Lab’s roster: the BTV Hacker Book Club! The group will be meeting monthly to discuss a book drawn from a list built by Lab members, with members voting on which book from the list to read each month. While Lab members pick the books, all who have read the book are welcome to the discussions, and attendees are welcome to bring munchies and beverages to share. 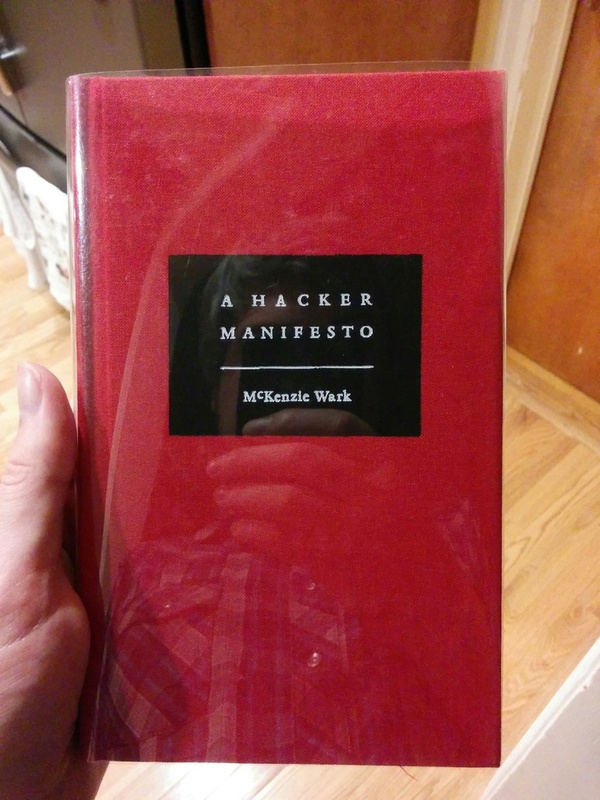 Our first pick is A Hacker Manifesto by media theorist McKenzie Wark, and we’ll be gathering for the discussion on Thursday, 8/17 at 6pm in the Couch Room. For more details and updates, RSVP to the Facebook event. Previous Previous post: Zero to Hero Class: Pirate Box Edition. Next Next post: 9/27, 7pm – FOIA Party at the Lab!